LHCP, Bologna, 4-9 June 2018. The welcome drink will be offered on Monday 4th June at the conference venue. Local wine and food tasting will be offered on Tuesday 5th June during the poster session. A guided tour of the city centre, visiting main historical buildings and churches and a visit to a historical museum is scheduled for Wednesday 6th June afternoon. You can find more information about the tours below. 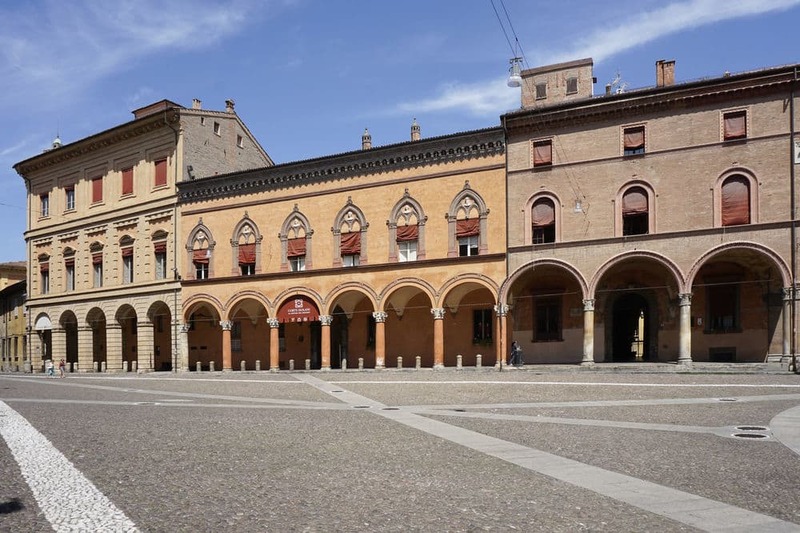 The conference banquet will be held in the Palazzo Isolani on Friday 8 June, located in the magnificent Piazza Santo Stefano, in the city centre at walking distance from the venue and the hotels. Discover what makes Bolognaâ€™s streets and skyline so exceptional! The two striking features of its architecture, porticoes and towers, make of this walking tour in the city centre a perfect occasion to get acquainted with its shape and pace. The endless arcades, that come in amazingly different stiles and sizes, never cease to give shelter to the wanderer. But prepare to look up and be left breathless in front of the few remaining brick towers, that dominate the city from the Middle Ages.Tour overview: Two Towers, Prendiparte, Galluzzi and Arengo Towers, Pavaglione portico. One of Bolognaâ€™s nicknames is â€˜the Learned Oneâ€™: in fact, the city houses the oldest University in Europe and played a key role in European intellectual life. We will retrace the steps of this glorious history from the Anatomical Theatre, the beautifully decorated hall that housed the first anatomy lectures in the first official seat of the ancient University, to the extraordinary scientific collections of the Museo di Palazzo Poggi, indeed at the crossroads of science and art. Tour overview: Palazzo dellâ€™Archiginnasio (with access to the Anatomical Theatre + Stabat Mater Hall), Museo di Palazzo Poggi. In the very small area of the â€˜Quadrilateroâ€™, Bolognaâ€™s ancient square heart, the mixing of sacred with profane has a long tradition. The baroque sanctuary of Saint Mary of Life treasures one of the most remarkable and moving masterpieces of the Emilian Renaissance, just a few meters away from the colourful stalls and the ancient deli shops of the Middle Market. This is a compact paradise for foodies: here the sense of taste is celebrated through the products (handmade tortellini, parmesan cheese, mortadella and much more) that have made this region world famous. Tour overview: Middle Market, Sanctuary of Saint Mary of Life (with access to the Chapel of the Lamentation over the Dead Christ and to the Oratory of the Flagellants). Designed by FREEHTML5.co and Angelo Carbone. All Rights Reserved.